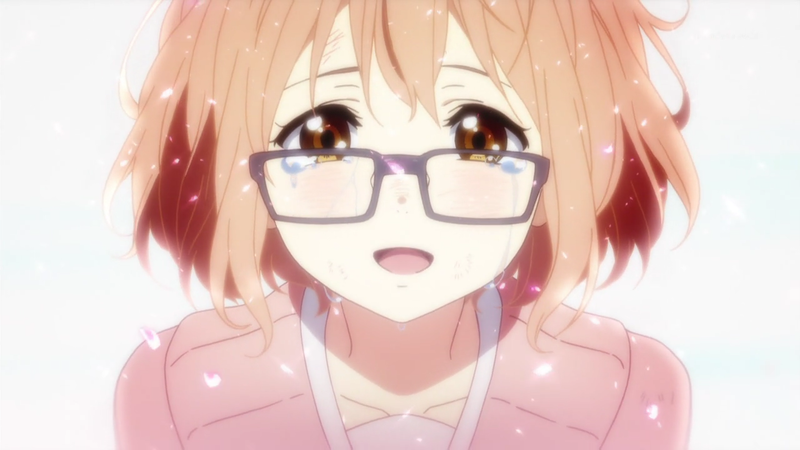 Kyoukai no Kanata — 12 | Mezashite! Also, capelin roe is the best translation I can come up with for some sort of fish egg-stuffed other kind of fish. Staff impressions after the break. Would you wear these glasses for me? So we reach the end of our fifth season, and our fifth complete show. We really wanted to get a KyoAni show under our belt, and while Kyoukai no Kanata was difficult to do, it was just as rewarding as the effort we put in. I’m a huge KyoAni fan personally, and I thought that the entire show just got fantastic at the very end. And hey, now we’ve got a Tamako Market movie coming up too! Anyway, there was a ton of controversy over plot, character motivations, and translations for KyouKana, and despite the trolls it was fun speculating and talking to everyone. Also, I told you about that Izumi, man. She was good the entire time. Look out for our mystery anime of next season, and see you beyond the boundary. I’m objectively a bigger KyoAni fan than Akatsukin, actually, so I’m even stoked-er than he is that we did a KyoAni show. 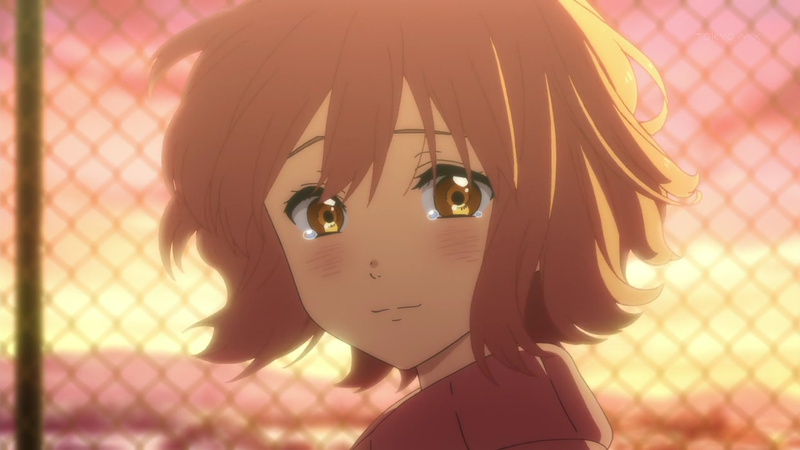 The first episode of KyouKana (which is the best way to abbreviate Kyoukai no Kanata, because it avoids confusion with Kara no Kyoukai and evokes an image of an expectation-filled kid wondering if today’s the day something’ll finally happen) was the first time I felt like our release looked like a “real” fansub release (for a variety of completely illegitimate reasons), so it’s pretty nice. How pleasant. Thanks for all the hard work. Ah so it finished at 12. The online sources I saw said 13, I’m a bit disappointed. The show itself was great though. Easily the best watch I’ve had in a while. Thanks for translating it, I really like this groups method. If you pick up anything that I’m interested in watching I’ll definitely get your release over other groups.